You are viewing archived content from an old version of the Pilgrim Lodge website. It is provided for historical reference only. Most of this information is incorrect or out of date. Please see our main site for the latest information about Pilgrim Lodge! 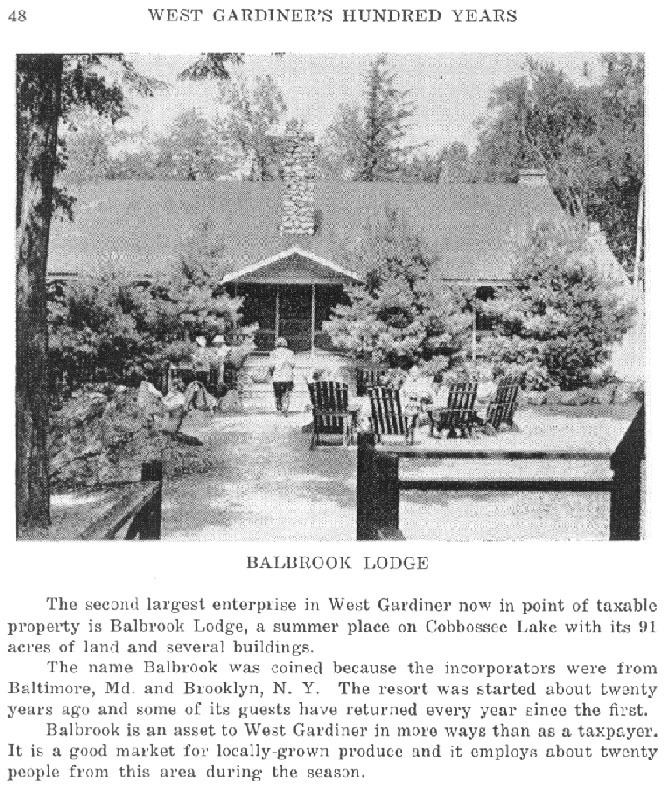 View a post card from Balbrook Lodge and photos of the early Pilgrim Lodge program. Published by the Town of West Gardiner on the occasion of the first Centennial of the town, celebrated August 19, 1950.